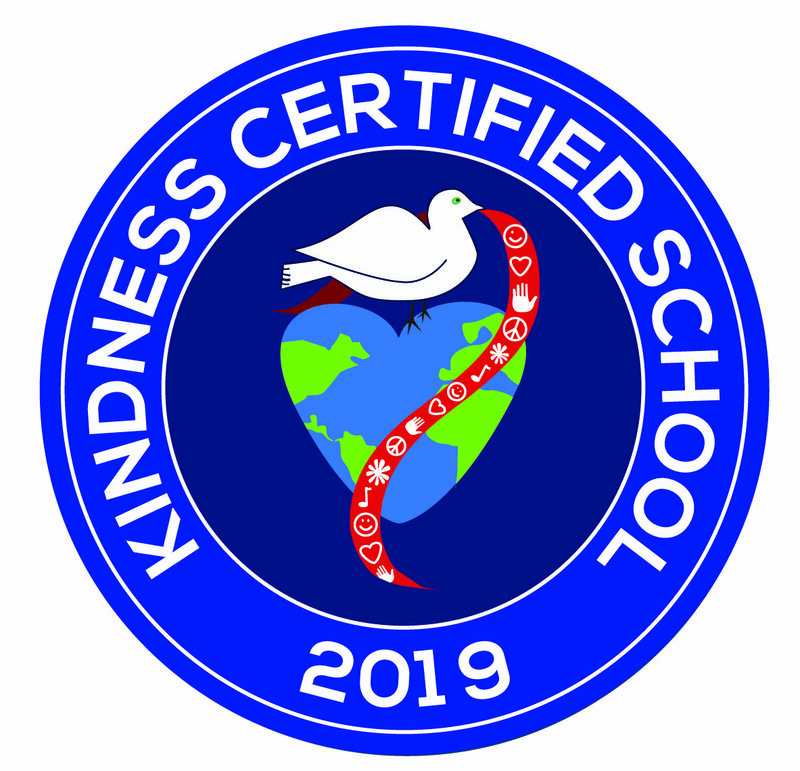 January 28-February 1 the students and staff at Fabius-Pompey Elementary participated in the Great Kindness Challenge. The Great Kindness Challenge is a proactive anti- bullying program that improves the school climate and increases student engagement through acknowledgment of kindness and unity. It also supports our school pledge to follow the Golden Rule and treat others the way we want to be treated. The students accepted the challenge, and showed that KINDNESS MATTERS through their acts of kindness! The students in KCC read kindness quotes each day during the announcements. On Friday, February 1st, the students and staff participated in a Great Kindness Rally. The entire student body gathered in the gymnasium. The students worked together in teams, played relays and games and celebrated kindness. "I HAVE THIS THEORY THAT IF ONE PERSON CAN GO OUT OF THEIR WAY TO SHOW COMPASSION, THEN IT WILL START A CHAIN REACTION OF THE SAME. To be a good citizen of my community, I will show respect and kindness to adults, to my peers and to myself. Be responsible for my belongings. Respect all school rules. I promise to learn and live by the Golden Rule. Each year the Fabius-Pompey School District defines important aspects of the Character Education curriculum that will drive the instruction for the upcoming year. This is the springboard from which we guide students by defining good traits accomplished through activities, key note speakers and service projects. We also encourage parent involvement to support these traits at home. An ongoing theme will also be continuing with our bucket filling skills. There are so many positive things we can do in order to be the best we can be: eat healthy foods, stay active, be responsible and get our work done to the best of our ability, be respectful and treat others the way we want to be treated, (the Fabius-Pompey Pledge is based on this Golden Rule).